Onlive Server Hosting company offer Canada VPS Server Hosting plans at very cheapest price with wide range of specification. Buy Windows and Linux based Canada VPS Server Hosting plans which is best suitable for E-commerce, gaming and Minecraft Server. It is a widely accepted fact that Virtual Private Server Hosting is ideal for business man because There are numerous benefits of using VPS Server Hosting Canada now-a-days One reason that can be given in this context is that in case of a shared server, there are high chances of crashing the website. It is so because all the sites are divided. 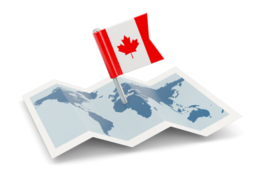 This is where Canada VPS Server Hosting can play a crucial role as well as help to boost the website. In case of VPS, a single server is segregated into a plethora of multiple servers and hence speed the main issue here. However, it is not much of a problem when you look at the other benefits of it. A cheap VPS Server Canada is a perfect option for those who are irritated by the fluctuating speed of data. On the other hand, high web traffic is impossible to manage in a shared server hosting plan. Because, If you use dedicated servers that is highly suitable for all all type of business within a reasonable budget, then the Canada VPS Server Hosting should be your ideal option. In this manner, your online operations would be seamless which would help you to maintain healthy business relations with the clients. VPS hosting usually comprises of two types which include managed hosting and unman-aged hosting. In the case of distributed VPS hosting, the host has the primary responsibility of organizing the server. The VPS Server Canada mainly relies on managed hosting so that they can offer a wide variety of services. On the other hand, if your company has a dedicated technical team, then you should always opt for unman-aged Canadian VPS Server Hosting services. Due to their best supporting team and higher qualified staff. It would provide you with the required practicality to carry out your business operations as well as running their business smoothly.